aged 40–74 developing Stroke, cialis Heart Disease, tadalafil Diabetes, and Kidney Disease. They are offered every 5 yrs to those within this age group who are not already identified as already having existing CVD conditions. Health Checks are free to patients, and do not affect any benefits. in the community, with Community Organisations such as KOPV and Knowsley LINk helping to provide outreach to identify those who would not be identified via GPs. professional a clearer picture of your risk of developing four common but often preventable diseases: heart disease, stroke, kidney disease or type 2 diabetes. All the tests are simple to carry out, and there will be time to discuss the results with your GP or health professional afterwards. risk of these four diseases. Some people may be asked to return at a later date for their results. locations, such as a local pharmacy, but will be conducted in Knowsley by professional medical staff provided by Quintiles. healthcare professional. This may happen at the same appointment as your tests, or you may be asked to return at a later date. how your results are related to your risk of developing the four diseases. You’ll be given personalised advice and lifestyle support to help you lower your risk and maintain or improve your vascular health. The best action for you will depend on your results. You may receive advice on how to get more physical activity into your daily routine, or how to eat a healthier diet. If you’re at high risk, you may be offered relevant treatments. Statins, for example, are a medication that help to control cholesterol levels. 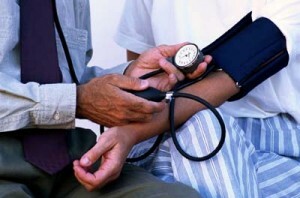 There are other medications that help to lower blood pressure when it’s raised. What if I am not aged 40-74? Health Check through their GP practice.